Collecting Gold Scales & Troy weights. 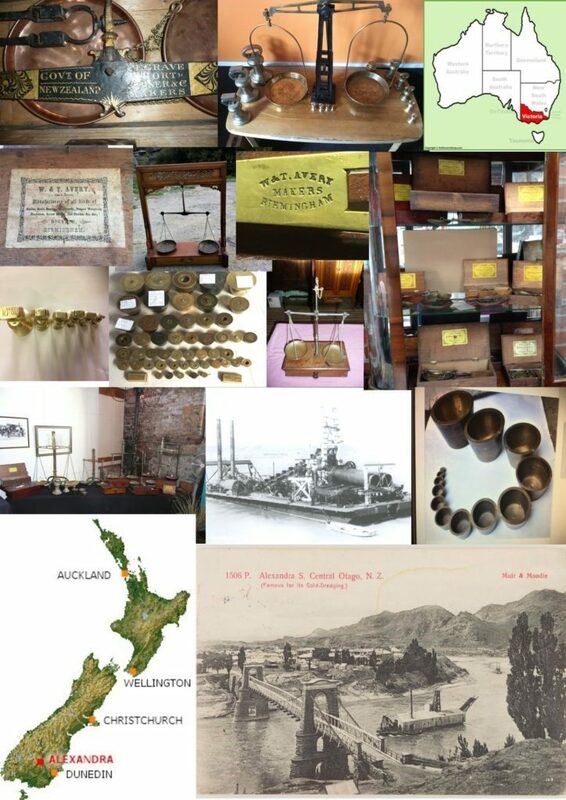 | This website was set up by two private collectors (a New Zealander Tony McCarthy and an Australian Mal Campbell) who enjoy what we collect and would like to share pictures and information with anyone interested. We would greatly enjoy receiving any information from other that would add to this web site, and would acknowledge sources. We will continue to add plenty of pictures of Gold Scales and Troy weights. History and information on Avery box scales, their labels, scales, and their boxes. Articles and information about the Gold rushes in Victoria, Australia and, New Zealand; including Gold Dredges around Alexandra Central Otago, New Zealand. A page of links will be set up, we will consider any requests to have a link on this site. Our aim is to increase the interest in troy weights and gold scales in particular here in the Southern Hemisphere.